Follow Little Books on the Prairie on Facebook! Visit the our page at the link below and “like” us to get updated book reviews, library helps, and reading helps for children, then “share” this page with your friends so they can enjoy the blog too. Summary: That Book Woman by Heather Henson brings me back to trips to the Appalachian Mountains and hours of watching the Waltons. 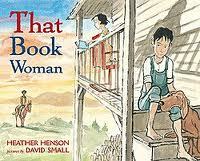 In this book a Pack Horse Librarian brings books to a family through all seasons and against all odds. The little boy is skeptical until the very end when he realizes that, if the librarian pushes through the fiercest conditions to bring them books, then he must find out why they are so important by reading them. The librarian is rewarded in the end with the best gift – knowing that she has changed a little boy’s life by helping him learn to read. Pros: A story that is accessible to all ages about a not-so-often mentioned time and place in history. I loved watching the boy’s attitude change towards reading. Summary: Our f amily LOVES all things Curious George! 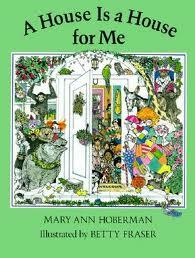 We enjoyed the movies, really liked the PBS series, and absolutely love the books. Today was “Dinosaur Day” at our Vacation Bible School, so I checked out this book to read to the toddler/preschool class that I was teaching. 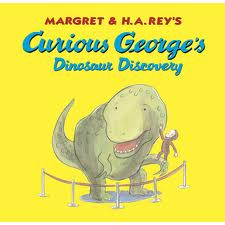 Curious George’s Dinosaur Discovery is short and entertaining with simple, colorful illustrations. The kids enjoyed anticipating George’s next trouble in his adventure and I appreciated that I did not feel the need to skip over parts of the book or change wording to make it fit the true story of dinosaurs. Pros: A book about dinosaurs that leaves out the controversial “science.” Simple, entertaining, colorful.